The tripe de roche, even where we got enough, only served to allay the pangs of hunger for a short time ... this unpalatable weed was now quite nauseous to the whole party, and in several it produced bowel complaints. Mr. Hood was the greatest sufferer from this cause. Hood's sufferings, according to Millman, may well have had to do with the fact that the Franklin party didn't always boil its tripe de roche; when eaten raw, it contains an enzyme -- employed to help dissolve the uppermost layer of the rock surface -- which can cause intense intestinal discomfort and diarrrhoea. Thankfully, the samples I tasted -- both of a North American and Japanese species -- had been cooked in advance. As to their taste, I would say this: imagine that, by some magic, a piece of textured silk or rayon fabric were to be rendered soft and edible -- that is the texture, but taste there is none. Apparently, the texture alone makes it specially prized by the Japanese, who treat it, like tofu, by adding various flavors. In fact, as to boiling, there are relatively few references to it in any part of Franklin's account. They boiled all sorts of other things -- deer bones, bear paws, buffalo robes, "iceland moss," and of course shoe leather -- but of the 25 appearances of the word "boil" in the text, only three refer to tripe de roche! In their last extremity, they were too weak to leave the "fort," or even drag out the bodies of their dead companions -- and so of course the boiling of anything was quite impossible. If only they had known, they might have saved themselves a tremendous amount of discomfort, and perhaps even poor Hood might have been in better health, and able to prevent his apparent murder by Michel Terrehaute, which seems to have been a crime of opportunity, by all accounts. I'm glad that, from now on, I can speak from experience as to the perfectly healthful -- if not especially tasty -- experience of eating it. Not a great deal is known about the Inuk known as "Cudlargo," whose brief moment on the stage of history has left such a resonant mark. As Kenn Harper has noted, his actual named was probably Kallarjuk, but to western ears this was rendered as as "Cudlargo"; Charles Francis Hall, who met him aboard ship while sailing north for the first time with whaling captain Sidney O. Budington. recorded his name as "Kudlago." 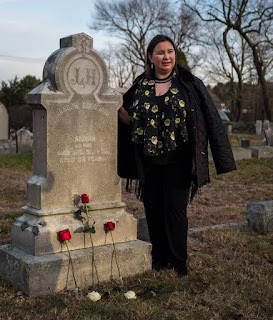 Kallarjuk had come south with Budington in 1859, and was on his way home when he fell deathly ill. From what would turn out to be his deathbed, he repeatedly called out "Taku siku?" -- whaler pidgin/Inuktitut for "Do you see ice?" -- but sadly, died before he reached home; his question has since become the title of Karen Routledge's excellent book on Inuit and whalers, Do You See Ice? As he expressed a desire to be on deck, a tent was erected there, that he might enjoy the sunshine and the air. But nothing availed to save him. The following day he was again taken below, and never again left his berth alive. He died about half past four on Sunday morning. His last words were, " Teik-ko se-ko? teik-ko se-ko?" — Do you see ice? do you see ice? His prayer was that he might arrive home, and once more look upon his native land — its mountains, its snows, its ice — and upon his wife and his little ones; he would then ask no more of earth. We had sighted the Labrador coast on our way, and after that we sailed several days without seeing ice. Kudlago kept incessantly asking if we saw the ice, thinking, if so, we must be near to his home ; hut, poor fellow, he was still far away when his final moments came. He died in lat. 63° N., when near the coast of Greenland, and about 300 miles from his native place. Suitable preparations were soon made for his burial in the sea, and as I had always thought a " burial at sea" must be a scene of great interest, the one I now witnessed for the first time most strongly impressed itself upon me. Never did I participate more devoutly in what then seemed to me the most solemn scene of my life. 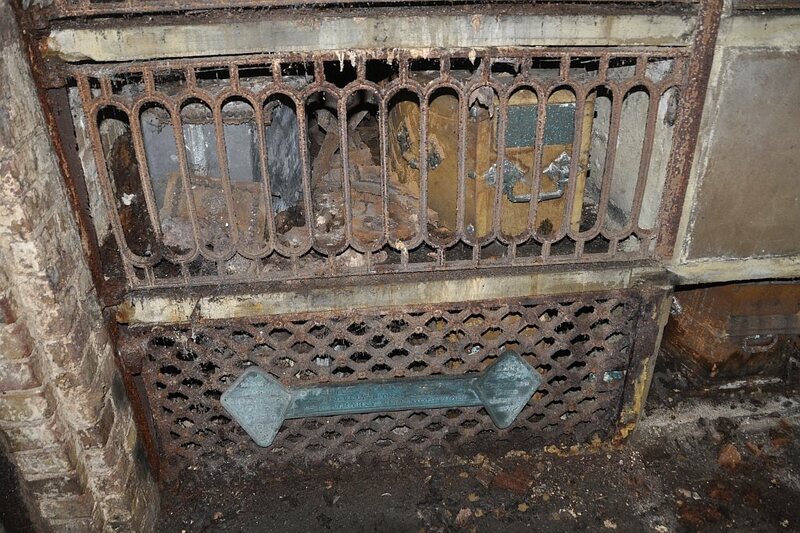 There before us was the "sheeted dead," lying amidships on the gangway board, all in readiness for burial. The whole ship's company, save a solitary man at the wheel, had assembled in sorrowful silence around our departed friend, to pay the last respect we could to him. By the request of Captain Budington, who was bound by strong ties of friendship to Kudlago, I had consented to take an active part in the services. During these services the breezes of heaven were wafting us on — silently, yet speedily to the north. At a given signal from the captain, who was standing on my right, the man at the helm luffed the ship into the wind and deadened her headway. William Sterry and Robert Smith now stepped to the gangway, and holding firmly the plank on which was the shrouded dead — a short pause, and down sank the mortal part of Kudlago, the noble Esquimaux, into the deep grave — the abyss of the ocean! 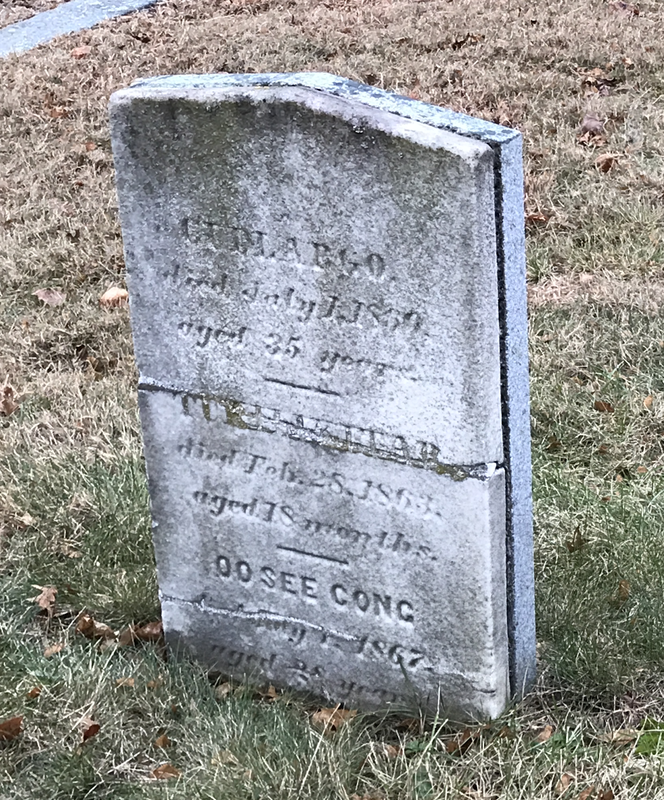 He who had endeared himself to us all, "Cudlargo," the Esquimaux, died at 4:30 A.M.. After appropriate services in which the ship's company participated with deep interest, we buried him in the Sea. Requiescat in pace. I do not believe this entry has been published before, but it discovering and reading it had a profound effect on all present. 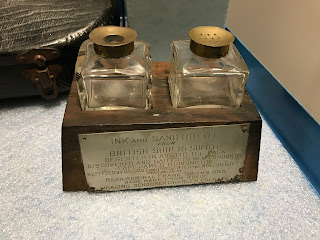 It was truly a memorable gathering; for a day, the geographical center of gravity of the Franklin expedition and everyone whose work has contributed to our understanding of it, was fixed at 41.36° N, 71.96° W -- at the Mystic Seaport Museum. The next day, many of us went to visit the grave of Hannah, where two of her children are also buried; from left to right: Frank Michael Schuster, Russell Potter, Kenn Harper, Peter Carney, Regina Koellner, Steve and Mary Williamson, and Dave Woodman. We all felt especially honored to have Mary with as, as she's Sir John Franklin's great-great grand niece; her uncle, Roderic Owen, was the author of 1978's The Fate of Franklin. Also at the daylong event were Jonathan Moore, John Geiger, Keith Millar, Lawrence Millman, Leanne Shapton, Fred Calabretta, and -- by way of Skype -- Doug Stenton. • Dave Woodman, in his keynote address, gave the history of his work, both in the archives and in the field. • Kenn Harper gave an excellent analysis of the history and merits of the many translators of Inuktitut who played a role in recording early testimony about Franklin. • Fred Calabretta noted the key role that New London whalers played in early interactions with Inuit, and advising Charles Francis Hall before his first trip north. • Lawrence Millman shared some of his experiences in collecting Inuit oral traditions from elders. • John Geiger reflected on the impact of the forensic work at Beechey Island as detailed in his and Owen Beattie's Frozen in Time. 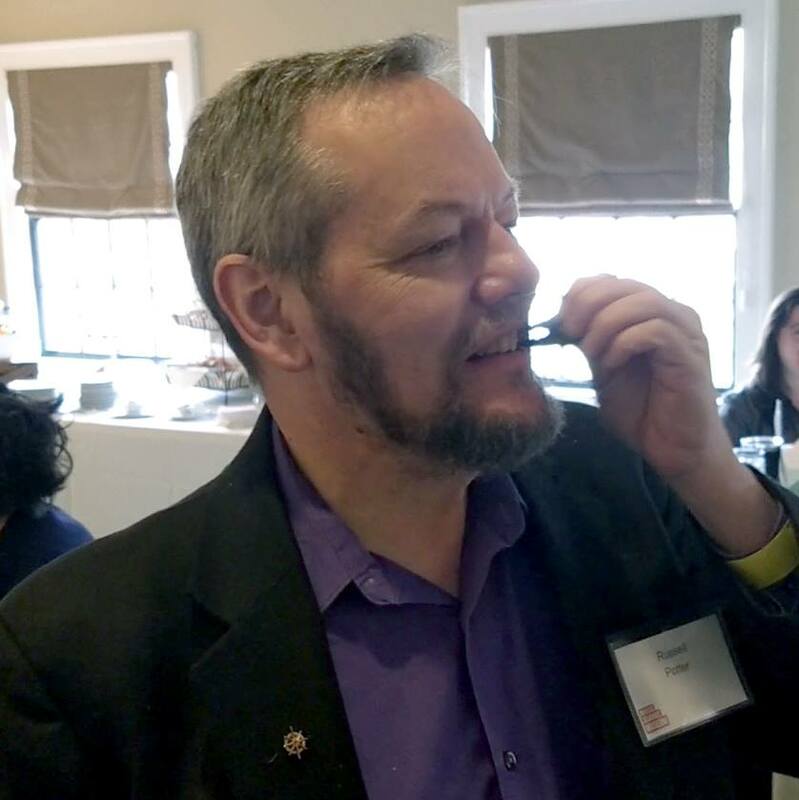 • Peter Carney and Keith Millar discussed their research on the question of lead poisoning and other health issues affecting Franklin's crews. • We had a full and robust report on ground archaeology, directly from Doug Stenton, followed by a detailed account of the current underwater work from Parks Canada's Jonathan Moore. • Leanne Shapton and I reflected on the place of Franklin in pop culture, from Staffordshire china figures and illustrated newspapers to graphic novels and AMC's series The Terror -- we were especially fortunate that several fans of that series, who've brought its characters to life via cosplay, were in the audience and at the Q&A. The questions asked at the general session were fantastic, and showed that the audience was as keen on the story as any of us on the panels, and very much steeped in Franklin lore. We concluded with some sea-chanteys and a rousing sing-along of Stan Rogers' "Northwest Passage," and then a big collective book-signing in the foyer of the main exhibition building. All of us felt very grateful to the Museum for bringing us together; in all my time working on these histories, this was surely the largest and most complete assembly of "Franklinites" that I have known. So watch this space for further stories that have sprung out of this gathering -- and see your host try a healthy bite of tripe de roche (it's not bad, actually!). In what will be the most significant gathering in many years of those who have searched for, researched, and written about the Franklin mystery, Mystic Seaport Museum will be hosting a symposium on April 5th, 2019. 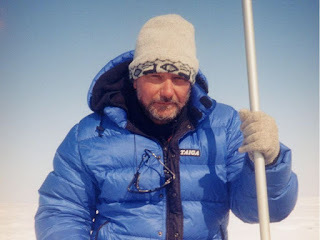 The keynote speaker will be David C. Woodman, who is in many ways the man most responsible for gathering and analyzing the historical Inuit testimony that eventually led Parks Canada's underwater archaeology team to the wreck of HMS "Erebus" in 2014. Woodman's two books -- Unravelling the Franklin Mystery: Inuit Testimony, and Strangers Among Us, form the core of the modern understanding of this large and complex body of oral tradition; Woodman also followed up on his books by leading a number of expeditions on his own in the years before Parks became involved. Joining him will be a number of other key figures in the modern history of the search for Franklin: from the Parks Canada team, Jonathan Moore will give us the latest on the dive team's work and plans; representing ground-based archaeology will be Doug Stenton, who has been a part of the most numerous and extensive excavations on King William Island since the search began. We'll also be joined by John Geiger, the CEO of the Royal Canadian Geographical Society, whose 1988 book, Frozen in Time, described the exhumation and study by Dr. Owen Beattie of the three sailors buried at Beechey Island -- a groundbreaking book in every sense of the word. 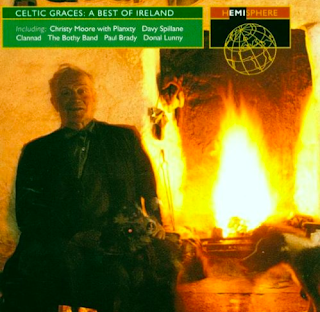 Others who have taken up this angle of research, including Peter Carney, who has extensively studied the ships' engines, heating apparatus, and water systems, and Keith Millar, a co-author on a number of key studies in recent years that have re-examined and built upon Dr. Beattie's work, will join the discussion. Two other sessions will be no less vital -- I'll be on a panel alongside Leanne Shapton, whose feature article in the New York Times Magazine on the Franklin relics brought this fascinating history back before American eyes; we'll be looking at the broader history of Franklin in popular culture. Last but very far from least, esteemed historian and author Kenn Harper will host a session on the nature of Inuit oral tradition, as well as the role of individual Inuit in the Franklin search; he'll be joined by curator Fred Calabretta, along with veteran Arctic author Lawrence Millman. 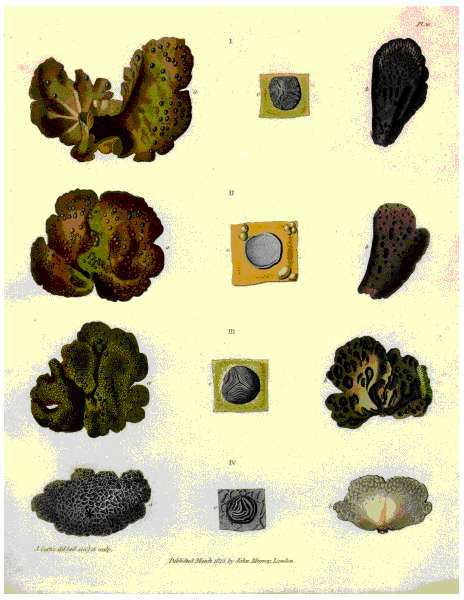 Millman, who is also a well-known mycologist, has promised to bring along some tripe de roche -- the lichen that Franklin and his men subsisted on in the last days of their first Arctic land expedition. After the sessions, there will be a book-signing event with all the authors present, and rumor has it that sea-chanteys will be sung! Tickets for the day's events are now available; for more information you can contact the Mystic Seaport Museum here. 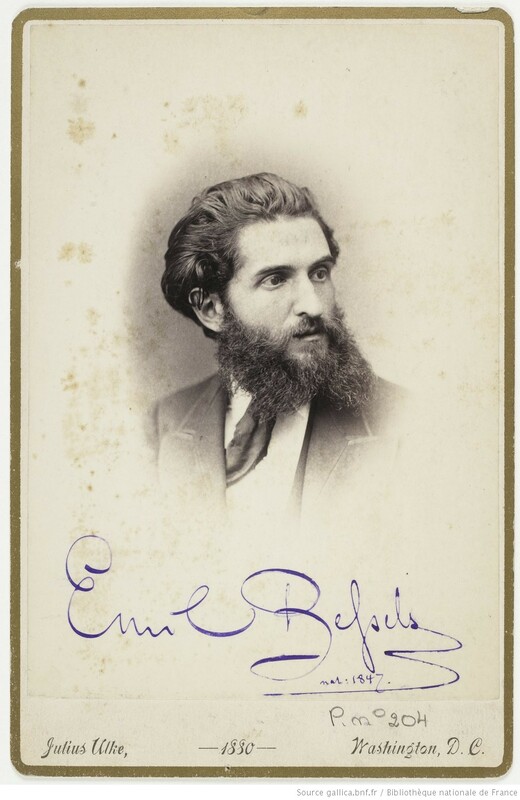 Some time ago on this blog, I gave the evidence that Emil Bessels had a deeper potential motive to poison the Arctic explorer Charles Francis Hall -- he and Hall had both fallen for the charms of the young artist Vinnie Ream. 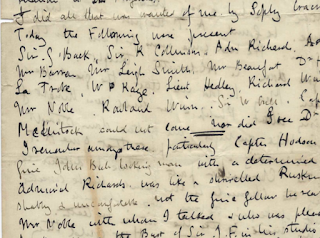 A letter from Bessels declaring that he was "thinking of her all the time," along with a letter from Hall sent from aboard the "Polaris" to thank her for the gifts she'd sent and describing them on display in his cabin, seemed to seal the deal. It was still conjectural of course -- but it was the first motive specific to Bessels -- as opposed to the other German scientific staff, many of whom resented Hall's leadership style -- that was supported by evidence from the time. And now, with thanks to the researches of a reader of this blog by the name of Jesper Zwiers, we have evidence that Bessels may have killed again. It's an old truism of crime that a criminal, once emboldened by a successful but undetected murder, is likely to repeat his crime -- and here again the method appears to have been arsenic poisoning. 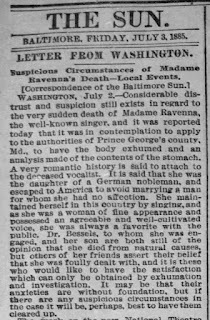 The victim, however, is a bit of a surprise -- it was Bertha Ravene, a German-American opera singer who was engaged to be married to Bessels! The wedding date had been postponed twice before, and her untimely death occurred on the third date she and Bessels had planned to wed. The sequence seems suggest that, as with Hall, the course of the poisoning began some time before her death, and was accelerated -- perhaps while Bessels was "treating" his fiancée -- before the final fatal dose. Something -- it's not entirely clear precisely what -- attracted the suspicion of people who knew the couple. It may have been that many still felt that Bessels was living under a cloud after the death of Hall; in some newspapers it's also said that he was acting "strangely" and that it was this behavior that raised questions. Madame Ravene's son apparently sided with Bessels, and one wonders whether he had some stake in his mother's life -- or death. If indeed Bessels hoped to profit by the death himself, it seems odd that he would have acted before rather than after the planned wedding. 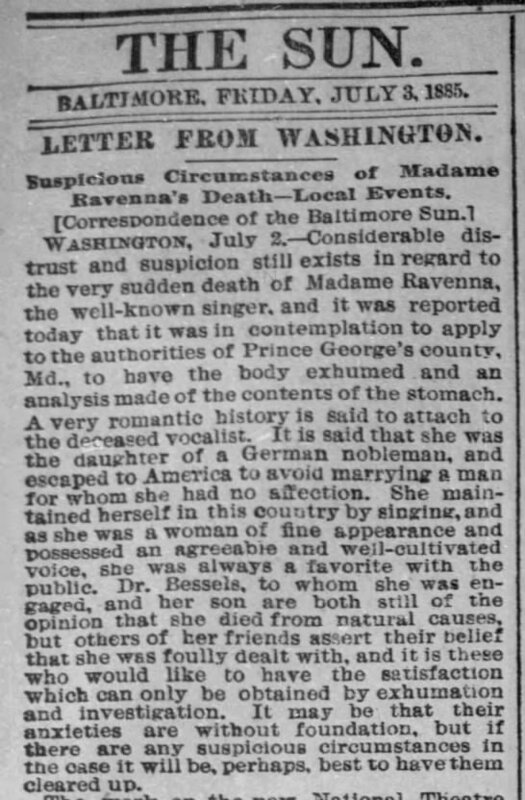 Numerous articles mention calls for Madame Ravene's body to be exhumed, and some even seem to assert that this was definitely going to happen -- but it appears from the lack of further news that it did not; one article states that "there will probably be no investigation" since "it is not generally believed that there was foul play." One factor that may be imagined to be in Dr. Bessels' favor is that, on the second planned date of their marriage, the couple did indeed arrive at the church, only to find the minister absent due to some confusion over the date. There's also the fact that Madame Ravene was, according to the physician who signed her death certificate, taking arsenic for malaria (!) but "only a quarter of a grain a day" (this would have been about 8 milligrams, far from a toxic dose). You can read more about these circumstances in this more detailed account of the events by a reporter who visited and interviewed Dr. Bessels. A note to those who want to dig a little further: Madame Ravene's name apparently posed a problem for newspaper and wire services of the day -- it appears both as "Ravena" and "Ravenna" -- so you'll need to do searches on each version to see all the available articles. Sadly, no photograph of Bertha Ravene seems to have survived. Nevertheless, her image lives on, as -- around 1871, at the peak of her career, a new hybrid flower -- a camellia to be precise -- was named after her. In celebration of Sir Michael Palin's knighthood in this year's New Years Honours, I thought it might be an ideal moment to talk about Arctic Grails -- real ones, as opposed to the metaphorical ones that are the subject of books such as Pierre Berton's. Well, "real," in the sense of really existing in the physical world, although -- as with Grail castles, beacons, and secret caves, the magic of these cups is in the eye of their beholders. Perhaps the most notable example is the "Erebus chalice," which may be seen at the Chapel of the Snows at McMurdo Station in Antarctica. There, the visitor is informed, is an ornate silver chalice that was aboard HMS Erebus during James Clark Ross's Antarctic voyage -- only, in fact, it wasn't. 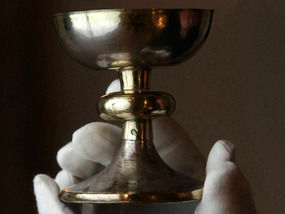 During a cleaning in 2006 at the Canterbury Museum in Christchurch New Zealand, the silversmith's hallmarks and date marks were examined, and it was discovered that the chalice was made in 1910 -- about seventy years too late for it to have accompanied Ross. 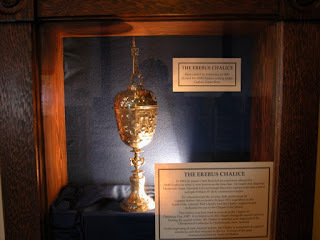 It seems that Betty Bird, a descendant of Lieutenant Edwad Bird --who some years previous had gifted an actual Erebus plate to the same museum -- had made the claim that the chalice, too, had been aboard, and the museum didn't choose at the time to investigate its provenance. There are other vessels, though, whose association with the polar regions are more secure -- among them the lovely ornate silver cup presented to James Fitzjames by the City of Liverpool in recognition of his having saved a man from drowning there, as well the extraordinarily ornate silver bowl -- including a model of the "Fox" -- presented by Lady Franklin to Leopold McClintock. 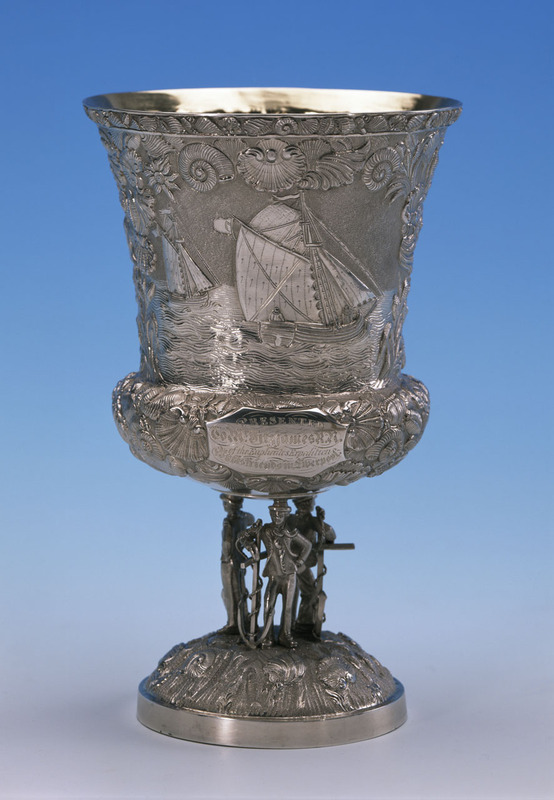 The bowl remains in family hands, but Fitzjames's cup can be seen today at the Mystic Seaport Museum, where it's part of their version of the "Death in the Ice" exhibition, which runs through April of 2019. Of course, it's more of a decorative item than a practical one -- it's entirely possible that neither Fitzjames nor anyone has drunk anything from it. There is however, one other cup with a peculiar connection to the Franklin story. 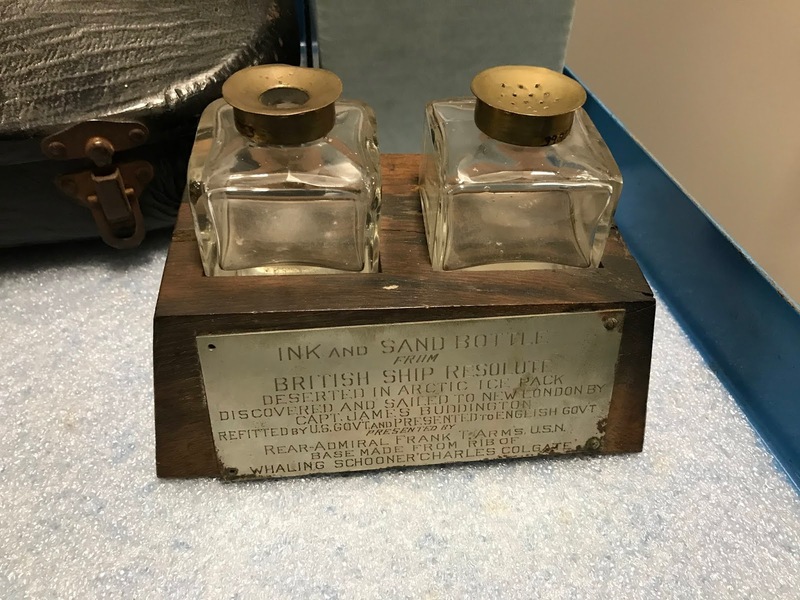 Ernest Coleman, who has trod the shores of King William Island in search of traces of the Franklin expedition, and is the author of The Royal Navy in Polar Exploration, made a bit of a splash in the local papers a few years ago when he claimed to have found the Holy Grail -- the actual one! -- in storage at Lincoln Cathedral. This silver cup was recovered from the coffin of Bishop Oliver Sutton, who died in 1299; according to Coleman, Sutton had been designated by the Knights Templar to keep and guard the Grail, and he took his secret -- literally -- to his grave. When I visited the Cathedral a couple of of years ago, I asked the docents if perhaps I could see this artifact, but they just giggled. Among collectors, there's a term that explains as well as any the attraction of an item -- be it a rhinestone from Elvis Presley's jacket or (as a vendor in the Disney tune "Portabello Road" puts it) "the snipper that clipped old King Edward's cigars" -- we call it "association" value. Sometimes it's easily verified -- as when a book is inscribed from one author to another -- but more often, it rests on a less solid foundation. 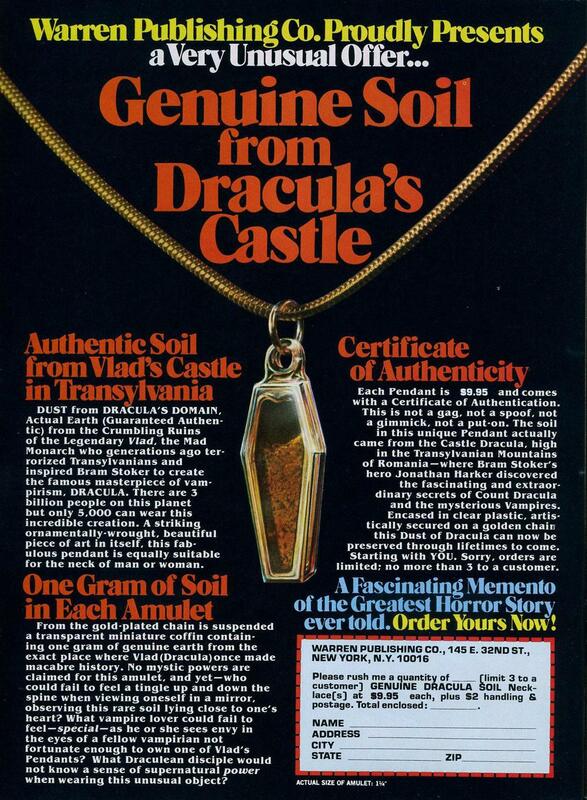 I can't, I'm sure, be the only kid to have mailed in an order for a coffin-shaped box said to contain soil from Dracula's castle -- and there are many other such things on offer, each with its certificate of authenticity. Maybe that's the most telling thing about Grails -- Arctic and otherwise -- it's where they have been, and who used them, that gives them their value, not any intrinsic worth as silver cups. And if indeed a cup from the Last Supper were to turn up someday, it's likely to be quite a plain one -- as Indiana Jones puts it in the movie -- "this looks like the cup of a carpenter." Lady Jane Griffith Franklin is dead. Her long waiting and weary watching are ended. Through the darkness of the grave she has passed to that country where the mystery so long hidden in the frozen fastness of the North has already been solved for her ... If there is any truth in the Christian doctrine of immortality beyond the grave, then are Sir John Franklin and Lady Franklin now together. She now understands the mystery, and all is clear. She has found him at last, not in that region of endless night, but in that higher region of endless day, where the sun never sets. There seeming becomes being, hoping becomes enjoying, expecting becomes realizing, the lost is found. Yet despite such resounding encomiums, the details of Lady Franklin's funeral service -- the small particulars of which any such event is composed -- have for the most part been wanting. It's only just recently that a first-person account has surfaced, and what an account it is! Its writer was Hardwicke Drummond Rawnsley, Sir John Franklin's nephew, a longtime champion of preserving and protecting the Lake District, and later one of the founders of the National Trust. 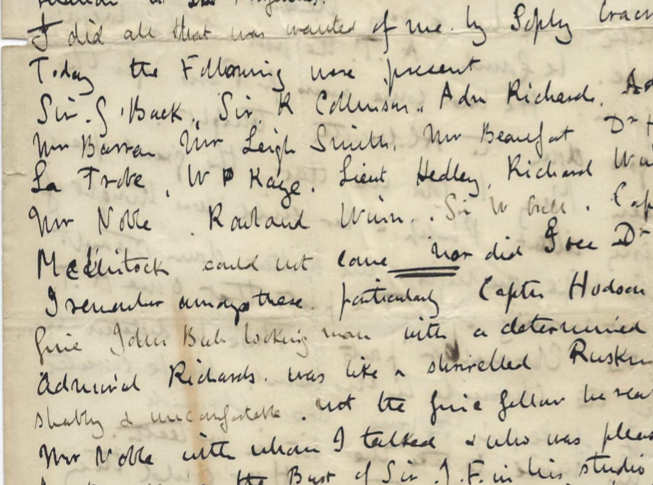 He'd grown up in a lively literary scene, with Alfred Lord Tennyson (his second cousin) and Robert Browning among its frequent visitors, and the love of language -- and sharp wit -- of his description of the proceedings make it all the more valuable. Hardwicke cast a stern and yet comical eye on the assembled mourners, Captain Hobson, who had first found the Victory Point note in 1859, was "a bold faced fine John Bull looking man with a determined face & blue eyes," but Admiral George H. Richards was "shabby and uncomfortable," looking like nothing so much as "a shrivelled Ruskin." Matthew Noble, sculptor of the bust of Franklin used in the Westminster cenotaph, told Hardwicke how pleased he'd been with a sonnet he'd written on seeing the bust in his studio. Bishop Francis Russell Nixon, who conducted the service, was an old friend of the Franklins from their days in Tasmania, and a pioneering photographer -- but in Hardwicke's eyes his countenance was out of joint with his manners; while he "talked very nicely about Colonial Church work," he had "an ugly face, dark penetrating eyes & grizzled beard." Although not mentioned in the letter, it's worth noting that John Powles Cheyne -- explorer, photographer of Franklin relics, and would-be polar balloonist -- was present, as were the Arctic artist Walter May, who had retired from the Navy to pursue his watercolors, along with the eccentric voyager Benjamin Leigh Smith. I got there about one o’clock & found men standing in a close darkened room looking like sick cranes on a wet marshland night. Violent hands were laid on one by men who knew your name & all about you apparently. Your hat was robbed, your name shouted & then after spending an hour and ½ in this black company your name was shouted again, much crape was pinned upon you as soon as certain ties of relationship were acknowledged & after another lapse of time black gloves & hats in crape mourning were put into your hands & you were put into a coach of decent black ... I got an horrid headache from the motion. ... the long procession of 10 coaches & several carriages reached at length Kensal Green. Up we passed thro’ rows of motley monuments, broken pillars, sad angels, tombs with photographs let in and glazed, with sculptured busts & painted faces It was grotesque but horrible. We alit at the doors of what looked like an Egyptian court in the Crystal Palace, & were ushered thro a mob of enquirers into the vaulted room. The coffin was placed on a dais in the middle – the old Admirals retired on either side. It was sad to see how they felt for her who had bade them venture so much & who was now but as the clay in the street - & we sat down in seats opposite the coffin. The Bishop of Tasmania Bishop Nixon mounted to the pulpit & read impressively the service for the dead. Sophy Cracroft bore up wonderfully. Then the meekfaced little burial clerk gave a signal & lo the mechanic grief was to be outdone by hydraulic machinery, for slowly & surely down went dais coffin & all as it were in a play or in a fairy story thro the ground, down down till it reached the vault beneath thence it was taken by strong hands and hauled off thro a dim taper lighted gallery to its niche where as it were in a pigeon hole all that is left of Lady Franklin lies beside her sister. And those of us who cared were then summoned thro a wicket gate down a winding stair and found men with murky lanterns & sad stolid faces waving us thro the dimness to where they had laid her. We passed pigeonholes with their dead occupants & their names engraven on the iron gratings that close them until here with “Barnetts” above her, piled to the roof, resting in the lowest pigeonhole, was the solid light oak coffin head contrasting strangely in its newness with the rusty weather-eaten black coffins beside & above. And there she lies still, though the light oak of her coffin has darkened and weathered a bit in the past hundred and forty-three years. 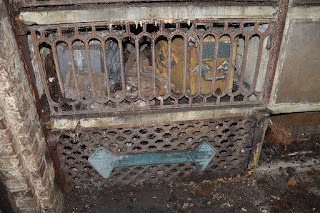 When, in 2009, in the company other Arctic friends and scholars, I visited Kensal Green, the underground catacomb was closed due to safety concerns, and it appears that it will not be re-opening anytime soon. I'm especially grateful, therefore, to Wolfgang and Mechtild Opel, who some years ago sent me a photo of her Ladyship's pigeonhole as it appeared when they visited it. You can still make out the oak coffin on the right, resting beside the lead-covered one of her sister Mary Simpkinson on the left. For now, I can think of no better conclusion than that given in the Tribune: "She has died poor in this world's goods by reason of her love for her husband, but rich in the world's love and memory by virtue of her peerless heroism." I've just come back from the magnificent opening weekend of Mystic Seaport Museum's "Death in the Ice" exhibition this past weekend -- it was a truly memorable occasion, from the evening reception prior to the opening to the welcome ceremony the next morning, hosted by the chiefs of the Mohegan and Mashantucket Pequot tribes, to Marc-André Bernier's marvelous lecture that afternoon updating us on Parks Canada's archaeological team's latest work on the wreck of HMS "Erebus." But for me, the highlight of the weekend was the visit many of us paid to the Inuit graves at the Starr Burying Ground in nearby Groton, These stones recall the names of six Inuit, although only three of them rest there. 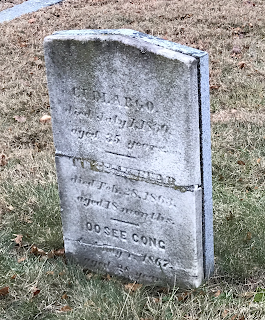 Two -- "Cudlargo" and "Oosecong" -- had been brought down from the Arctic by local whaling captain Sidney O. Budington, but had died at sea; these names are memorial to their memory. But it's the family of "Hannah" (Tookoolito) and "Joe" (Ebierbing whose presence is most felt here. They, too, had worked for Budington -- indeed, years before, they had been taken to England and had tea with Queen Victoria! -- but their subsequent careers were far more significant. The two of them worked as translator (Hannah) and guide (Joe) for Charles Francis Hall, the American Franklin searcher who collected more Inuit testimony about his fate than any other man. And, as historian Kenn Harper -- who gave an interpretative lecture for us all at the site -- notes, if Hall was the most significant searcher, then Hannah was the most significant translator and interpreter, whose work enabled the accurate preservation of testimony that would otherwise have been lost forever. Hannah's son and daughter are buried nearby, but her husband -- "Joe" -- is not; he returned to the Arctic as a guide, and his bones lie somewhere in or near Hudson Bay. Those of us who came represented many different peoples and perspectives, but it was the delegation from Nunavut for whom this moment was especially meaningful. Pam Gross, the mayor of Cambridge Bay and executive director of the Kitikmeot Heritage Society, along with Ed Devereux, a hamlet administrator from Gjoa Haven, represented the two northern communities closest to the Franklin wreck sites, as well as the Kitikmeot region generally; with them was Alex Stubbing, head of heritage for the Government of Nunavut. Marc André also came with us, as did Steve White, president of the Museum, and Nicholas Bell, Vice President for Curatorial affairs. Karen Ryan, the lead curator for the "Death in the Ice" exhibit at all its locations, Franklin researcher Russ Taichman, and myself rounded out the group. 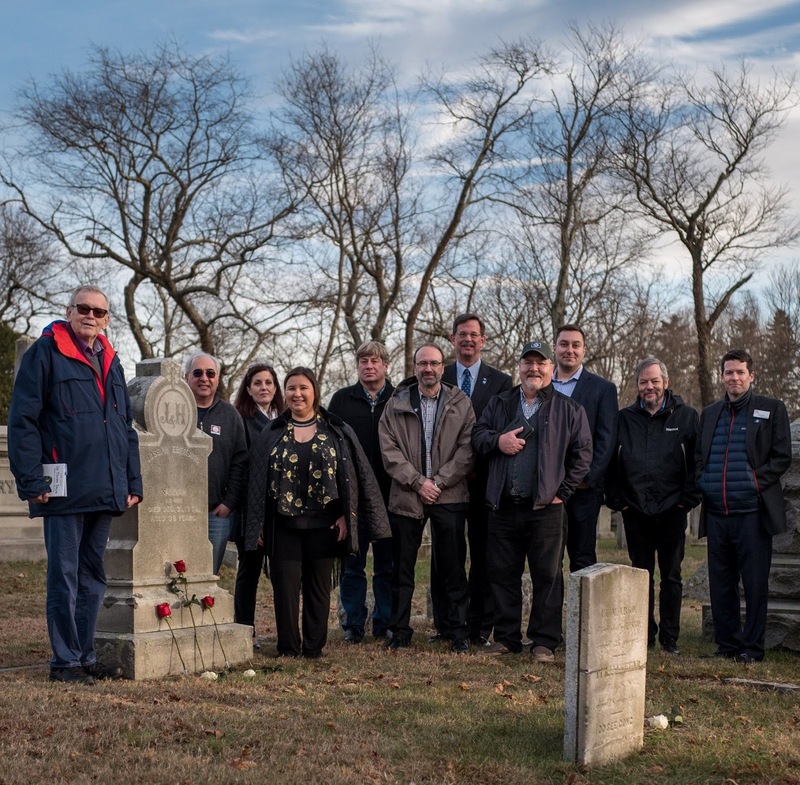 We are all of us indebted to Kenn Harper for his moving talk about the graves and their history, and to the staff of the Mystic Seaport Museum for bringing us all together at a place where all our histories so richly resonate. It's been a long voyage. "Death in the Ice," which combines relics of the Franklin expedition recovered in the 19th century with new finds from HMS Erebus brought back and conserved by Parks Canada since her discovery in 2014, first set sail, (as it were) at the National Maritime Museum in Greenwich in the summer of 2017. Its second stop, at the Canadian Museum of History, began in March of this year, and ran through September. And now it comes into port at the Mystic Seaport Museum, in a stop that is both a fresh step on its voyage and also a sort of homecoming. For it's not far from here, in New London, where HMS "Resolute" first docked after being found adrift at sea, and -- even closer -- at the Starr Burying Ground, a fifteen-minute drive away in Groton, where Tookoolito, Charles Francis Hall's translator and guide during his nearly decade-long search for Franklin, lies at rest along with two of her children. The extraordinary roles played by Americans in that search have never been more evident, even as -- for the most part -- the story of the Franklin expedition is less well-known here than in Canada or Britain. There have been harbingers of change, though -- beginning with AMC's extraordinary television series "The Terror," and continuing with the warm reception given here to Michael Palin and his book Erebus: The Story of a Ship -- that this is about to change, and the exhibit in Mystic is about to launch a fresh cannonade. And, appropriately enough, one of the items unique to this version of the exhibition is a mortar bomb, fired from the 13-inch mortar mounted amidships on HMS "Terror" on the people of Stonington, Connecticut, scarcely ten miles distant, in the War of 1812. Similar shells were "bursting in air" during that same vessel's bombardment of Fort McHenry in Baltimore Harbor, and are the very same that are sung of in our national anthem. That a ship of war could later become a vessel of discovery is but one of the many revelations that await those who come to visit this magnificent show. Here, nearly all the extraordinary relics of the previous exhibits are joined by this ball, an inkstand, chairs, and china ware from HMS Resolute -- along with a fiddle perhaps played there in the presence of Captain Kellett -- and the Grinnell Desk (on loan from the New Bedford Whaling Museum), one of four "Resolute" desks made by command of Queen Victoria from the timbers of that storied vessel. It is a show not to be missed! -- and opens, appropriately enough, on the first day of the wintry month of December. More information, and tickets, can be found on the Mystic Seaport website here. The question of the dispersal of the Franklin expedition over land has always been a difficult one; it's even been hard to say exactly how many individuals are represented by the known skeletal remains. When possible, DNA studies have been of extraordinary importance, telling us for instance that the human remains at Erebus Bay -- previously thought to represent only 11-13 individuals -- in fact include bones from at least 21. This study and others like it have been spearheaded by Doug Stenton, who since his retirement from the Government of Nunavut's Heritage office, has redoubled his efforts to check every known site. One welcome result of this has just appeared in The Polar Record, and it's the most comprehensive one by far. Stenton's study accounts for nearly every known site, and he's followed up by conducting digs whenever a site can be positively identified, and adding the bones and artifacts at those sites into his ever-growing record. Very sensibly, Stenton strives in this article to classify finds into "confirmed" (sites where the remains can be attributed to Franklin's men with a high degree of confidence), "unconfirmed" (sites where the remains were most probably Franklin-era, but circumstances -- often the fact that the remains are unavailable for study -- prevent confirmation), and "questionable," where he feels that the evidence tends rather toward the sites being unrelated to Franklin. In nearly all cases, his reasoning is sound, but there are some instances where I feel a site has been misclassified. It's no easy task -- one of the hurdles is that historical researchers such as myself have some pieces of the evidence, while archaeologists have hold of others -- and so I think it's germane to go over the evidence on these cases in a more public forum, where all our wisdoms can be collectively applied. There may not be a definitive answer -- but in these few cases a reclassification may be in order. 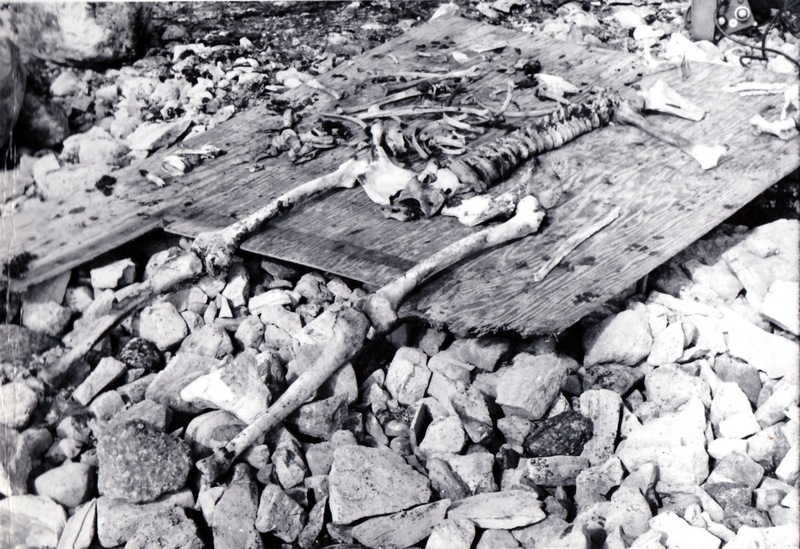 A perfect instance of this is the skeleton located by the 1st Royal Canadian Regiment in 1973 as part of their "Operation Northern Quest," which I've discussed previously here. 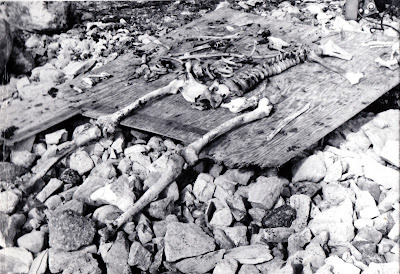 Stenton tags this as a "questionable" find, arguing that the presence of faunal bones (caribou) in a period photograph of the remains supports the view that they are more probably Inuit. The case is complicated, because although the 1RCR stated at the time that the bones and other artifacts were sent to the Museum of Man (now the CMH), no record of them there has been found; indeed, by some accounts they were reburied rather than sent to the museum. I've spent quite some time researching this find, and working closely with the 1RCR's regimental historian -- I wish that Stenton had contacted me before making his assessment. In the diaries of expedition members, and articles published in service magazines of the day, the evidence is quite compelling for it being a Franklin site. "Ingraham and Eddy found the bones of a human forearm and hand on the beach. This seemed recent as the bones were still connected by ligaments. Immediately after this, Willard found bones protruding from the ground by a large rock. A quick check showed this to be an almost complete skeleton in a shallow grave. We thought it to be the bones of a large man; too large for an Eskimo. We uncovered as much of the skeleton as we could without disturbing things. We planned on returning tomorrow morning with the metal detector and shovel. Eddy said he knew where a sheet of plywood could be located on the beach to put the bones on. The skeleton had been covered by several inches of moss and rocks. The skull was not visible to us but the jawbone was there. The armbone found on shore does not appear to have anything to do with the buried skeleton." In addition to these accounts, I have two higher-resolution photos of the skeleton (Stenton apparently made use of a reproduction from a printed article). The one of the skeleton on the plywood plank is quite clear -- it may well be that what the 1RCR men thought was a human hand was in fact the bones of a seal flipper -- bear in mind that these men had no archaeological training whatsoever -- which would explain the presence of the same in the photo. The faunal bones may well have also been picked up by them and heaped up, unknowingly, with the human ones. Interestingly, at the Schwatka reburial site earlier studied by Stenton, faunal remains are also present, and probably for the same reason. This evidence strongly suggests that the skeleton in question here should be reclassified -- at least as "unconfirmed." There's also a ray of hope, as in another reference in the Sentinel, it's stated that the skeleton was reburied rather than brought back to the museum. I think it would be worth checking the area in case it can be relocated -- and then, of course, we'd have much firmer grounds, one way or the other.